If you're using an Android mobile operating system running Smartphone and Tablet devices then you will be pleased to know that now you can Root Any Android Device with One-Click Framaroot App. Framaroot Android Rooting App is capable and compatible enough to Root Any Android v2.0+ to Android v7.0+ versions. Android mobile OS users can officially Download Framaroot Android Rooting App .APK File for Free via Direct Links available below. Framaroot App is a One-Click Android Rooting Solution for smartphones and tablets; works similar like Evasi0n Jailbreak Tool available for iPhone, iPad and iPod devices for Jailbreaking purpose. With Framaroot Android Rooting App, users can install Superuser and SuperSU binary with Aragorn and Gandalf exploits, Unroot Android devices and Execute Custom Shell Scripts when rooting. The best part of Framaroot Android Rooting Application is that it doesn't required any computer, laptop nor any cable, but just a single Android App .APK File for Rooting in 5 Seconds. So what you're waiting for? The official Direct Download Links of Free Framaroot Android Rooting App .APK File and List of Compatible Android Smartphones and Tablets with Compatible Android OS versions is listed below. If you like the app after using it and wants to donate something to the developer than you can also buy a paid version of the app which is called 'Framaroot Donation App' from Google Play Store as well, other wise the app is FREE to download and install. Note: If you have any query or questions regarding Framaroot Android Rooting App, than you can directly ask a developer of the app in the official XDA-developers forum thread HERE. 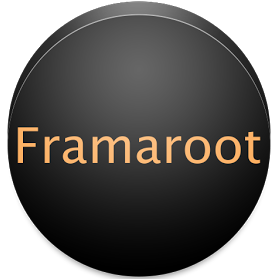 If you don't know how to use Framaroot App, then you can follow our full tutorial and guide on How to Root Any Android Device Using Framaroot Android Rooting App available HERE. You can root any android versions starting from an old Android 2.0+ (Eclair) to the latest Android 7.0+ (Nougat). You can root any below mentioned android smartphones and tablets compatible with Framaroot App in respect of its exploit features. When we get any feedback from the end-users, the following compatible list gets updated accordingly, so its a live updated list, so check-back later if your device is not listed below.